Thank you for transporting my car from NY to CA, I've had dreadful experiences before and was certain this would also be one of them, but I was happy to learn this service is not necessary a bad one! Thank you so much! 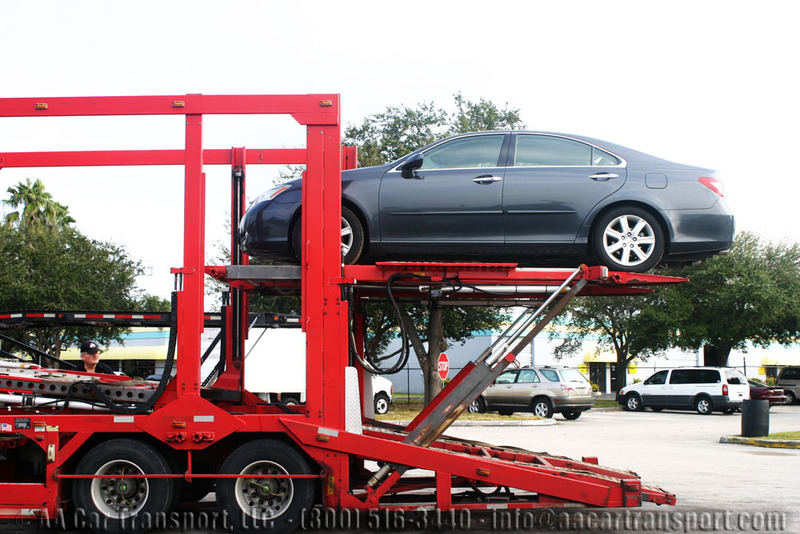 Car transport services are very common and are used worldwide to transport cars all over from any given point. There are many types of different services depending on the customers’ needs, such as open carriers, enclosed carriers, overseas transportation, motorcycle shipping, boat shipping, and many more. Each car has a different and unique requirement and no two transportation requests are similar, therefore the industry has to present solutions to each and every one of the customer’s demands, as well as the possible mishaps that can happen along the way. As mentioned before and through many other of our articles, no two transportation requests are the same, they might be similar cars, and run on similar routes, however the customer’s requirements will not be the same. We have had different scenarios where we have been put to test sometimes in order to resolve unexpected details at last minute, and other times we have received very unique requests from our customers which go out of the normal transportation service lines. When a customer reaches out to us for a transportation services, we take the business personal and attempt to give our customers the best service possible, not only to ensure a good reputation, but to ease our customer’s situations. 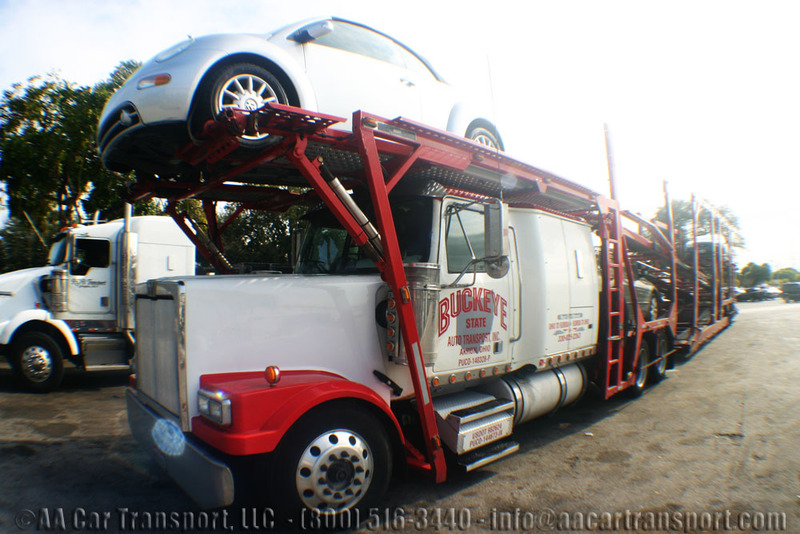 We are aware that most of the car transport requests have a story behind them, and most of the time these stories have to do with moving to a different state, starting new lives and transitioning to new opportunities. Although all these are great scenarios, changes always bring stress, worry and expenses. Some cases involve buying a car for the first time and we can feel the anxiety customers have to make sure their car arrives as soon as possible and with no damages. Other scenarios involve cars from an auction that have certain times frames of which cars have to be removed before storage fees start to run, customers are desperate to have them picked up and avoid the extra fees. For all of these and many other scenarios we strive to work with our customers and provide immediate solutions to make their transportation experience as hassle free as possible. Car transport services are not meant to be nightmares like most people put them; nightmares only occur if details are not taken care of from the begging. In order to avoid that you need to make sure you are dealing with an experienced carrier who will assist you in taking care of all those details. Still there are scenarios where external factors such as road conditions, weather and mechanical issues cannot be controlled can occur, however as long as you deal with a reliable company, they will find the fastest solution for you. We’ve had many car transport scenarios in the past years where we’ve had to provide immediate solutions for our customers, making sure the transportation is not compromised only to satisfy their needs. By acting fast and working together we were able to solve all these issues. Here are some of the cases we’ve dealt with in the past. We once had a case where a customer contacted us and was very skeptical about giving us her address, name, contact info and even credit card information, at first we became skeptical as well as we thought maybe we were dealing with a stolen car or stolen credit card situation. After speaking with the customer we realized she was running away from a domestic violence scenario and she did not want her husband to find her. We immediately started working on her case to move her out as soon as possible. Since she did not want any prove of a transportation request linked to her to avoid further issues with her situation we arranged a meeting point at a shopping mall for the driver to pick up the car, customer paid the driver in full at pickup. For the delivery we set up the same scenario, for the car to be delivered at a shipping plaza in another state, customer picked up the car there and from that point took off to a safe place. We were glad to help her out and assist her and leaving her horrible situation, we wish the best of luck to where ever she may be. We have many customers that are sending their kids off to college and need their cars transported for them. Sending your kids to college is a very hard transition for both the parents and kids. We had a family that were flying in to Indiana to drop of their daughter at college, however they wanted the car available to them as soon as they arrived in order to avoid any further expenses for rental cars, the only problem was that they had no one in Indian to receive the car for them. We presented various options to the customer, as to deliver the car one day after he was there, that way he would be there to receive the car, or perhaps contact a local terminal to store the car until they arrived. Another scenario was to contact their daughter’s roommate to receive the car for them, this way the car would already be available. After considering their options, they decided it would be best to deliver car at a terminal and once they arrived they would pick up the car. We found a terminal near the airport, this way their transportation from the airport to the terminal wouldn’t cost them a fortune and become an unnecessary nightmare. A common scenario we face is for customers that are moving from one state to another. They arrange all the house items to be moved before time, half of the family flies to the new location, and generally the dad is the last to go to make sure everything is settled. One of the last things that get transported is their car. Customers look to stay with their vehicles for as much as possible to avoid rental car fees or taxis, however once they catch their flight they need their car to be picked up and transported to their new location. Typically in a transportation service we would need someone at the pickup location to give the car away and at the delivery location to receive it, however there are cases such as these, that customer have no one to leave in charge, prefer not to pay terminal fees, nor can wait for the driver to come by to pick up the car. For these cases we request customer to leave car in a secure place with the keys hidden inside, we arrange for the driver to pick up the car from that point as soon as possible and the transport the car to them, by then customer has arrived to receive their car and start off in their new homes with the right foot. One of the most common business transactions in the car industry now a day is buying inoperable cars at auctions or from private owners to fix and resell for higher prices. Buying an inop car is a tricky scenario as you do not know exactly what you are dealing with until you see the car. Buying a car from an auction has the benefit that the auction itself can help you out with mounting the car on the carrier and you get to see the car before booking the service, therefore you know exactly what you are dealing with. When you buy an inop car from a private owner that unfortunately does not live in your same area, you will get only the description of what is going on, however you will not know the actual state of the car until you have in your hands. This scenario is a bit tricky we are provided as many details as possible by the customer, however there are cases where drivers get to the pickup location and are presented with different scenarios, most likely worse than better. One of the cases we were presented with was with a customer who bought an inoperable vehicle from a private owner at a different state. The former owner was not available any longer as she was in the process of moving to a new location and was leaving the car behind. Another detail of the situation was that the car was within a gated community, where carriers cannot go into. The car keys were left inside the car console for the carriers to take, the problem was getting the carrier in or the car out for the carrier to mount. First option of having the carrier come in was scratched out of the list immediately. 18 wheelers cannot come in gated communities, no matter how big communities are. The option of having somebody drive the car out wasn’t possible either as first off there was no one, and second of all the car wasn’t running. We were left with the option of towing the car out of the community to an open area to meet the driver. This would cost the customer extra fees, however we managed to get a local towing service with low flat rate fees to avoid the customer’s budget to skyrocket. The towing service went the gated community, towed the car and brought it a shopping mall parking lot where he met with the carrier and mounted the vehicle, 4 days later, car was delivered to our customer with no extra hassle. Managing a car transport business will give you many surprises and tests you will have to overcome in order to satisfy customers and accommodate to their transportation needs. Each case will be different and unique and will require different solutions in order to be successful with the least amount of stress. Regardless of what scenario we may encounter, we will work it out to make sure we provide the car transport service you expect. Fell free to like our post Car Transport Solutions if you found it useful. Read The Golden Rules to Avoid Car Transport Scam few tips that will help you make flawless transport.